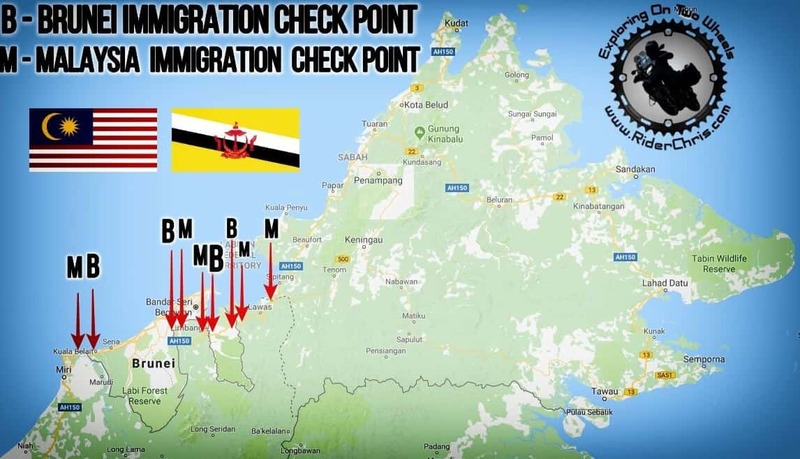 This Malaysia – Brunei Border Crossing article generally applicable if you want to cross in and out of Brunei overland by Car or Motorcycle. Please note these instructions are made from Sungai Tujuh Check Point in Miri but the principle applies to all checkpoints in Brunei-Malaysia crossing. This article is created based on my solo Borneo Ride to explore the beautiful Malaysia. If you using Brunei to just access Sabah from Sarawak and vice versa, you will need to pass 9 check points in total which requires to stamp your passport and scan QR code (Only at Brunei side). This is because Brunei is separated into two parts by the Sarawak district of Limbang. (The locals call the separation as Brunei Besar and Brunei Kecil). Now I’ll guide the easy steps of going into Brunei. The process is the same when you exit out of Brunei. 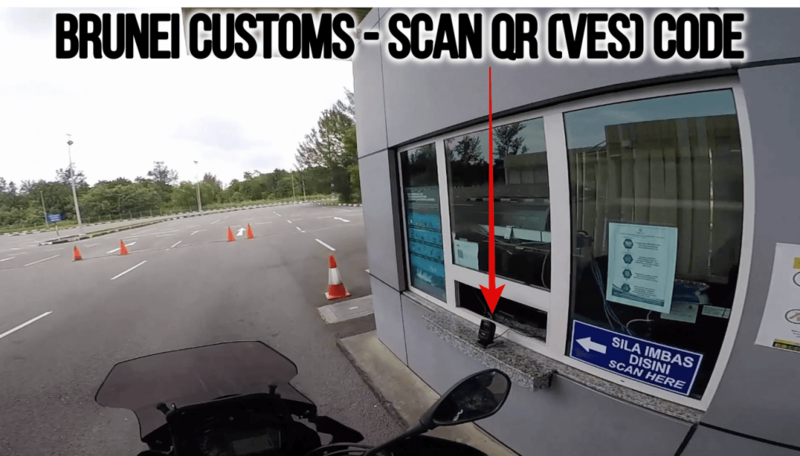 Step 5: Scan your QR code at the Brunei’s customs counter to register your vehicle entry/exit details. Check out the video below of me going through the immigration process, it is really easy. If you have any questions, drop them at the comment box below and if you find this article helpful, please share via the social buttons.